We’d love your help. Let us know what’s wrong with this preview of Rack and Ruin by Chele Cooke. 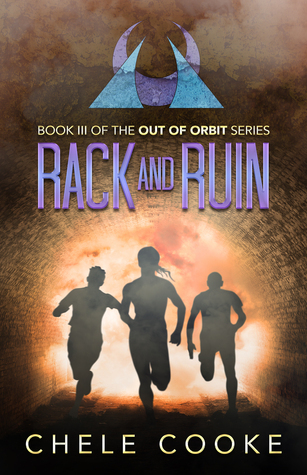 To ask other readers questions about Rack and Ruin, please sign up. Chele Cooke’s Rack and Ruin is true action and science fiction suspense from page one as she pits good against evil, father against son and the fight for justice against the power mongers of the world. There is no rest to be found, so rest up, we are going into battle along this ragtag group of rebels with a cause. Count on Chele Cooke to bring every scene to its full glory, ever battle to its horrendous life as you feel the sweat, smell the blood and know your own heart is racing! Chele Cooke has brought home another amazing read with a strong voice and an equally strong stroke of her pen. I received an ARC edition from Chele Cooke in exchange for my honest review. This was better than the second book, though I still preferred the first. Cooke manages to put a lot more effort into telling her story here, and though little happens, it remains an interesting read throughout. What a brilliant end to this series! We're thrown straight back into the world of fake friends and enemies who could become allies. Georgianna now back fighting with the resistance as a medic, she now starts to learn combat skills for the real to protect herself from the enemy. Those who we trust even family take a turn and the battle of the revolution looms and blood is spilt. Georgianna is more fearless than ever and I felt that she developed the most out of all the characters by truly coming What a brilliant end to this series! We're thrown straight back into the world of fake friends and enemies who could become allies. Georgianna now back fighting with the resistance as a medic, she now starts to learn combat skills for the real to protect herself from the enemy. Georgianna is more fearless than ever and I felt that she developed the most out of all the characters by truly coming out of her shell and doing what she believes in, she has to be one of my favourite protagonists in the dystopian genre for definite. This third book in the series was a difficult one to put down, so much action and twisted revelations. It is the ultimate fight for good against evil, every scene Cooke creates is so in depth its as if I'm part of the revolution myself. This book speaks volumes for having a voice and making change happen when people come together, I'm really impressed with this last book and I really wish I could explain it all without giving away spoilers. The book starts out with the Veniche and Belsa turning to the Cahlven, a technologically advanced race of people, for help. They are trying to defeat the Adveni and Georgianna is looking for her family. There were plenty of twists and turns in Book 3, and one caused my jaw to drop. I quickly picked it up to see where the story was going. I was a little disappointed with how it developed in one area, something that I felt happened too soon. Our heroine, Georgianna, is still grappling with her fea The book starts out with the Veniche and Belsa turning to the Cahlven, a technologically advanced race of people, for help. They are trying to defeat the Adveni and Georgianna is looking for her family. There were plenty of twists and turns in Book 3, and one caused my jaw to drop. I quickly picked it up to see where the story was going. I was a little disappointed with how it developed in one area, something that I felt happened too soon. Our heroine, Georgianna, is still grappling with her fears and while she’s getting braver, it is in the company of people she doesn’t know so well (Edtroka, Dhiren). She is much more likeable with them and not so much with my least favourite character, Keiran. Georgianna just seems to regress in his company. I admit to feeling many things while reading this book, some good some bad. Whatever those feelings were they existed because of a story this author created. And isn’t that what good writing is all about? A story that drags you in then tears you apart, only to slowly rebuild you. A decent read. Four stars. An ARC was provided for an honest review. I'm a huge fan of the first two books, so I was happy to receive an ARC. I had to make a decision whether I would devour this book in one sitting or read it slowly knowing that the next book wouldn't be out for awhile. As it happened I did both. I was devouring this book and then an event occurred. 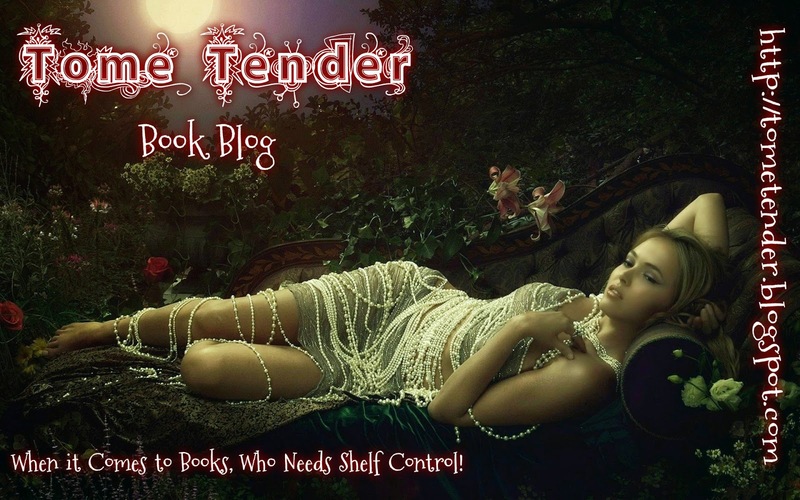 I was moved, hurt, disturbed, sad, so I had to put the book down for awhile to get over that point in the plot! This book is a fitting third book in the series An ARC was provided for an honest review. I'm a huge fan of the first two books, so I was happy to receive an ARC. I had to make a decision whether I would devour this book in one sitting or read it slowly knowing that the next book wouldn't be out for awhile. As it happened I did both. I was devouring this book and then an event occurred. I was moved, hurt, disturbed, sad, so I had to put the book down for awhile to get over that point in the plot! I'm an independent Sci-Fi/Fantasy author based in London, UK. As a reader, I'm rather eclectic. The Harry Potter series was a big influence in my desire to become a writer, and I regularly stay up all night reading books I love.